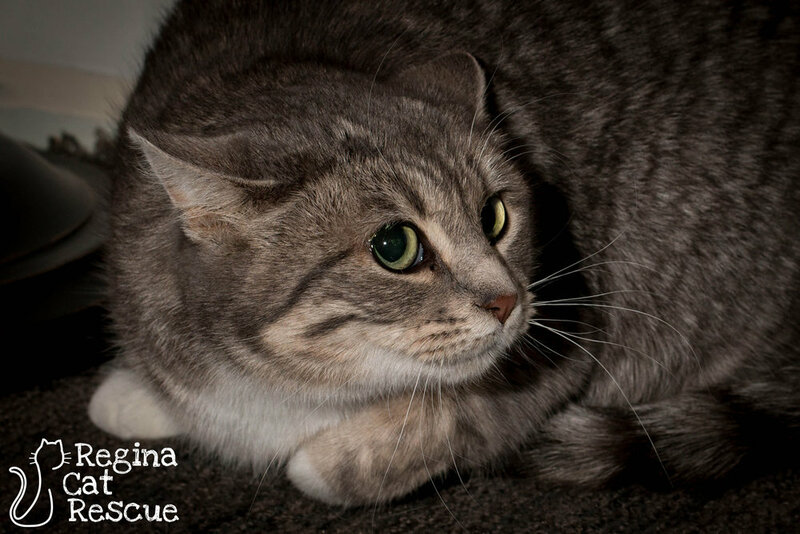 Like many cats Regina Cat Rescue helps, Kennedy had not had rough start in life. 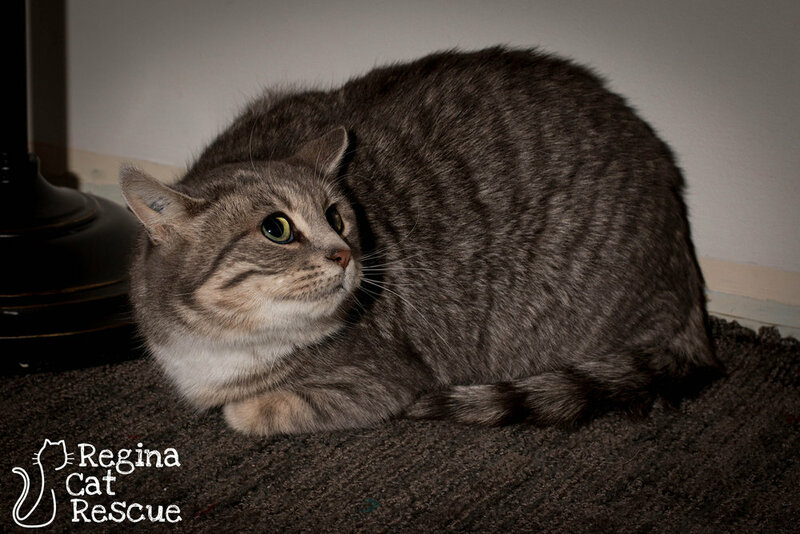 She was found at one of RCR's Community Cat feeding stations with her two young kittens. She appeared to be a tame cat that was just a little cautious due to having her two babies with her. She was trapped along with one of her kittens and placed in a foster home. Sadly, Kennedy's kitten was diagnosed with distemper and died shortly after going into foster care. Her other kitten was never found is presumed to have passed away from distemper as well. Kennedy is shy at first but she is learning to trust humans again. Her time on the streets alone and pregnant has left her wary, but we can't blame her for that! 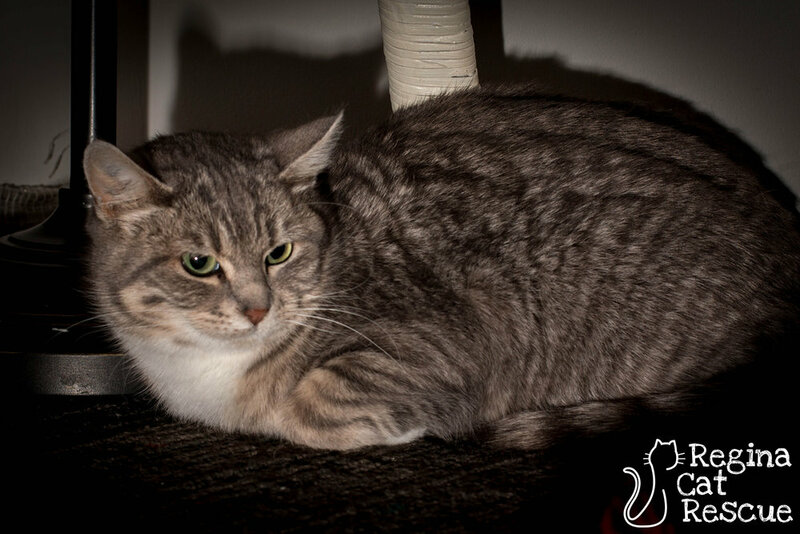 Kennedy loves to be petted and will strike up a purr and she makes a cute little chirping sound when she sees you bringing her food bowl at meal times. She enjoys playing with her toys and snoozing in the cat bed. Kennedy is a lovely girl who is looking for a patient person to show her that life is good and her hard times are behind her. If you are interested in Kennedy, click here to view our adoption contract and click here to complete an adoption application or email the RCR Adoption Coordinator at adoptions@reginacatrescue.com for more info.